April 25, 2019 How to Watch USA Network Without Cable? April 24, 2019 How do I get Hulu on my Nintendo Switch? April 22, 2019 How Much is Barbara Broccoli Net Worth? Yoga Day, 21st June is the day for ‘United Nations International Yoga Day’. Yoga is an ancient Indian form of physical, mental and spiritual exercise. These days, it is practised globally in various forms and continues to grow in popularity due to its benefits. ‘Yoga for Health’ is the theme for 2017 International Yoga Day and it highlights the fact that yoga can contribute in a holistic way to achieving an equilibrium between mind and body. It reflects an ideology that a healthy body and lifestyle can make a direct and efficient contribution to the much-needed goal of achieving sustainable development. The world started celebrating this day from 2015 as proposed by Indian Prime Minister, Mr Narendra Modi. As a matter of fact, it took less than 3 months to be declared as World Yoga Day by the general assembly of United Nations. Also, this was the first time when any country’s proposal was initiated and implemented in UN body within such a little time period. it is not about exercise but to discover the sense of oneness with yourself, the world and nature. The date decided for this day also holds a significance because 21st June is the longest day in northern hemisphere regions. The on-paper objectives of Yoga Day are many- To let people know the amazing and natural benefits of yoga, to link between protection of health and sustainable health development, to let people know their rights of good health and healthy lifestyle to completely enjoy the highest standard of physical and mental health, and so on. This day is celebrated globally with great enthusiasm and devotion. 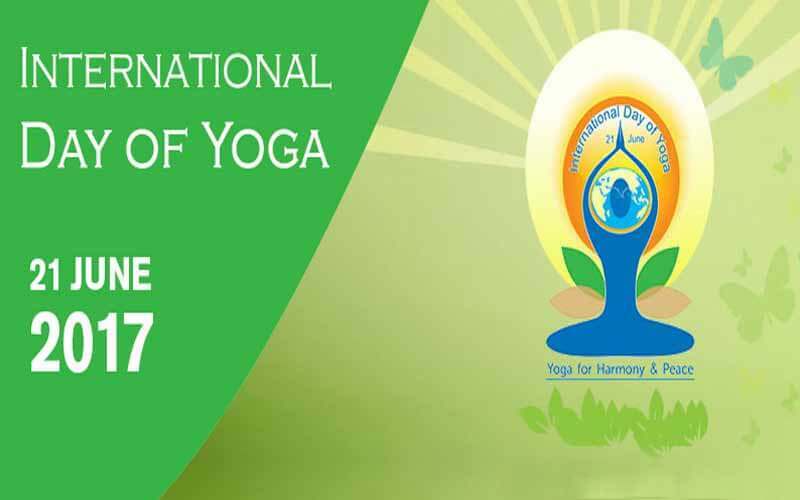 More than 170 countries- including USA and China live this day up with organising activities as yoga training camps, workshops, competitions, etc. create and spread awareness for yoga among their citizens. As of now, yoga is a new concept for many countries. So, the first step for them is to educate people about the mental, physical, intellectual and spiritual benefits of doing yoga regularly and religiously. WHY DO WE NEED TO DO YOGA? It is a perfect mental and physical exercise. Also, if you are a beginner; there are hundreds of asanas from which you can choose as per your preference of hardships. Yogi really works for the improvement of body posture, eyesight, memory and concentration. The Yoga makes you gain the flexibility of the spine, stretching of muscles, relaxation and strong joints. It instantly makes you feel fresh and energetic as it enhances your brain functions, reduces stress and rejuvenates your body and soul. WHAT TO DO ON YOGA DAY? Wake up early and push yourself more into yoga, maybe raise your difficulty level. Introduce your friend/family to yoga and share what you know about yoga because sharing is caring. Find an event near you and be a part of it. If there’s not any event happening, then take the initiative and organise one. How to Watch USA Network Without Cable? How do I get Hulu on my Nintendo Switch? How Much is Barbara Broccoli Net Worth? Father’s Day 2018 – 5 Celebrity dads whose dad-vibes are goals!